Review Jenssen Cognac: "Immensely fat and concentrated by age, it reveals heady floral and mineral notes, butterscotch and drie." 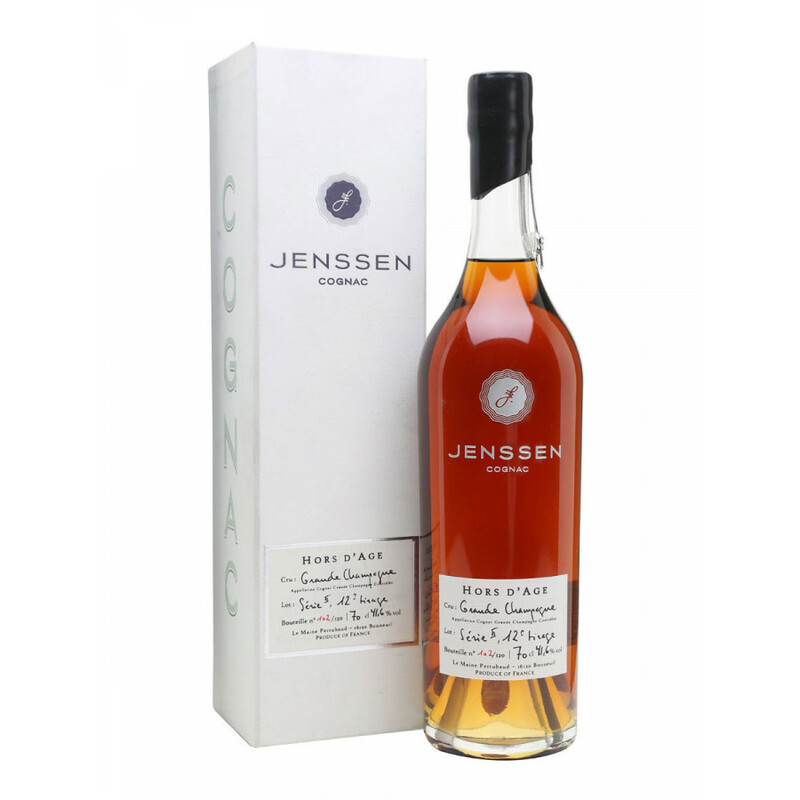 Jenssen Cognac Hors D'age is an old Grande Champagne cognac, 1er cru. Comes in a nice Jenssen-typical bottle & giftbox 70 cl 41,6 %.d fruit. A combination of rare sophistication and elegance. Won the following awards: "Médaille dor Concours Internationale de lUnion des Sommeliers Russes Moscou 2006. Médaille dargent International Wine & Spirits Concours Londres 2006."